Pfc. Robert C. Spain, son of Mr. and Mrs. Craig Spain, graduated from Frederick High School. 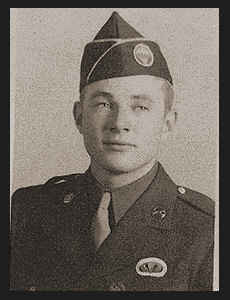 Entered Army in June, 1944, trained in Ft. Benning, Ga.; served in Scotland, England, France, Holland, Belgium, Germany, Austria, Italy, Switzerland; is now on duty in France. Awarded Combat Inf. Badge, ETO Ribbon with four Battle Stars, Pres. Unit Citation with two Oak Leaf Clusters, French Croix de Guerre.